Whether or not you voted for Romney in 2012 (and even whether you like Mitt personally or not), I believe he would make a remarkable president. Here are five of my personal reasons for believing Mitt would be an outstanding president (none of which are related to business, his political views, or his leadership in running the State of Massachusetts and the 2002 Olympics in Salt Lake City). 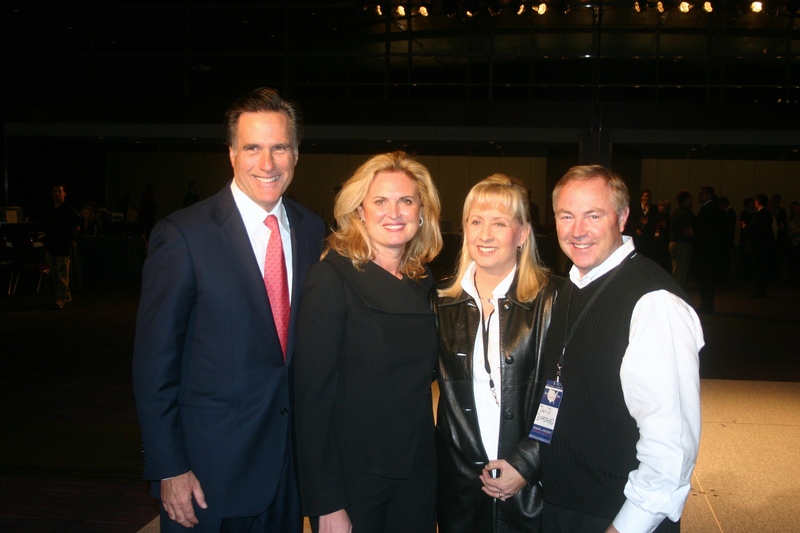 Recently, I attended the second annual Romney E-2 summit in Park City, Utah where Mitt invites brilliant problem solvers from both sides of the political aisle to tackle some of the nation's most pressing problems. At this year's event I learned something about Mitt I never knew: he sings really well, and he loves music. At the event, he even did a short duet with the 12-year-old singing sensation Lexi Walker, who has garnered 50 million YouTube hits. He was terrific. People who love music have sensitivity. Presidents require empathy. While Mitt may not be as affable in casual conversation as, say, a Bill Clinton, he has a deep love for people that is underscored by his numerous acts of personal service. He shared one such moment with my son, who worked on Mitt's campaign for Governor of Massachusetts. (Let me note that my son, David Eric, was not on the front lines for Mitt, rarely saw him, and was definitely in the trenches of his organization.) Mitt called David Eric personally as he was driving between events at an extraordinarily busy time in the campaign just "to thank him for his work." They spent 5-10 minutes of conversation on the phone. Dare I say, "Who does that?" Well, not the person the media has portrayed as robotic and out-of-touch. There are numerous other stories of Mitt going out of his way to bless the lives of others such as personal visits to terminally ill children, and shutting his office down to go in search of a missing girl, etc. These are signs of a sensitive and empathetic individual at work. Mitt's choice of spouse shows his decisive and well thought-out analytical skills. Ann is an amazing individual. At a time when families are fraying and the whole social fabric of our society is straining, Ann Romney is an ardent supporter of the value of mothers and families. She is a wife who is kind and deep and has no political agenda. She is an exemplary stay-at-home mom who also earned a degree from Harvard. There is no job in our society that is more vital than being a parent and especially a mom. There is an old Spanish proverb that reads: "An ounce of Mother is worth a pound of Clergy." Who better to step up and honor and supports the mothers in our society? It was a brilliant move by Mitt when he married Ann. 3. He has a passion for work. I don't want to get too deeply down on Obama for playing golf. But I will observe that I am semi-retired, carry a four handicap and love the game, and even with my avid time commitment to golf, I have not played as much in the past two years as Obama. From more than 40 years in business I know that people who win in life and in business have a passion and a genuine love for the work they are doing. If Mitt were to commit to this job, we would see him work like perhaps no other president in our history. Through his hard work and passion, Romney built one of the most revered private equity firms in the world, while also helping Ann raise five sons, and serving in demanding roles in his church and other charities. Even after his second presidential loss, he has not bowed out of these roles. The great leaders we need in America are people who have passion for hard work. In my book UP Your Game: The Six Timeless Principles I quote Vince Lombardi, the famous football coach for the Green Bay Packers who perhaps says it best: "Leaders aren't born. They are made. And they are made, just like anything else, through hard work." 4. He has more grandkids than I do. Anyone who has 22 grandchildren, and five children, knows something about the importance of human relations. We tend to view Mitt's family as idyllic, but let me be brutally honest: every family, particularly of the size of Mitt's, struggles at times. I know how busy and difficult my own family of 4 children and 16 grandchildren can be. One has to become an expert in human relationships to manage the relationships in a family constellation like this. Franklin D. Roosevelt once said: "If civilization is to survive, we must cultivate the science of human relationships - the ability of all peoples, of all kinds, to live together, in the same world at peace. In my mind, there is no better place to cultivate human relationships than in the petri dish of immediate and external family. As a president, Romney would face disasters of myriad varieties. But, as author Robert Brault notes, "The thing about family disasters is that you never have to wait long before the next one puts the previous one into perspective." 5. He has a strong moral compass. Mitt's faith is deep. He relies on a higher power and is humble enough to know that he does not have all of the answers. As French political pundit and historian Alexis de Tocqueville observed after his famous visit to the United States, it was the moral fabric and belief in the divine that underscored the great power of America. Democracy, divorced from a moral foundation, cannot long survive. We see this today as the rich are getting richer and middle-income wages have remained flat for the past 30 years. Mitt Romney realizes the ways that capitalism can swallow a democracy when highest loyalties are primarily to self.